Need to update the billing information for your Simplecast account? Here's how. 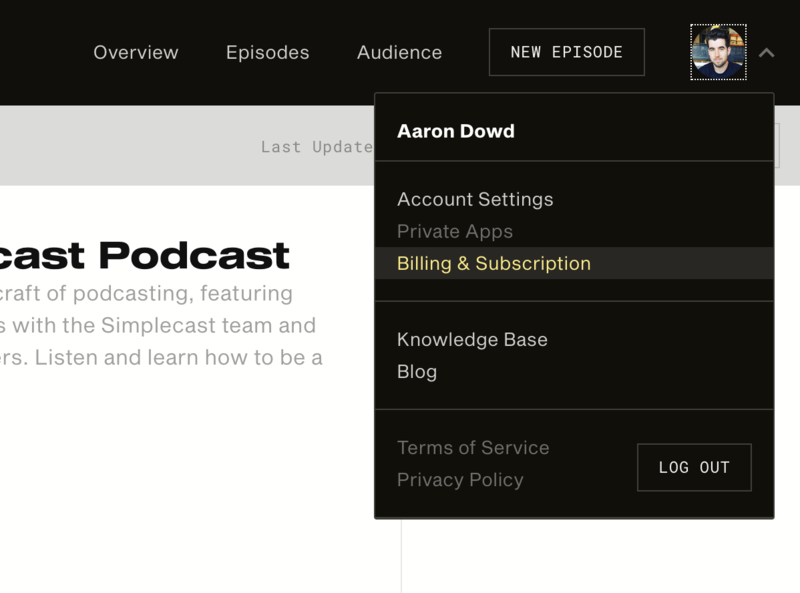 To update your account's billing information, log into your Simplecast account, click on the arrow next to your profile picture in the top-right side of your screen, then select Billing & Subscription. You can also follow this link to quickly jump to your Billing & Subscription page. Once you're in your Billing & Subscription page, you'll see the Cards On File section below the Subscriptions section. Click the EDIT button to enter in your new debit or credit card information. After entering your new card information, be sure to click the Save button in the top-right side of your screen to save your changes. Your changes should now be reflected in your Billing & Subscription page.